The Intel 2nd Generation i7 Mobile Extreme processor has a base frequency of 2.4GHz and supports two cores and four threads. A thread runs one program at a time and, therefore, a core i7 mobile processor can run up to four programs at once. The Intel core i7 mobile processor supports 16MB of RAM, allowing you to play almost all the heavy games and the most advanced programs with ease. This processor comes with a built-in graphics card too so you can also enjoy the latest HD videos as well. Who Should Buy Intel 2nd Generation Intel Core i7 Mobile Processor? As this is a budget-friendly processor, it can be bought by anyone who loves to upgrade their computer system. The 2nd generation processors (with the highest processor of Core i72700K) can easily run a majority of the heavy programs that demand high processing power. Whether it is games, software or movies; Intel 2nd Generation Core i7 mobile processors can run them all seamlessly. 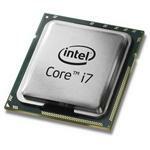 Buy Intel 2nd Generation Core i7 Mobile Extreme Processor from Memory4less.com. We offer the best prices for processors, memory and other computer accessories. Whether you want to buy a refurbished processor or a new one; Memory4Less has them all. Just look for Intel 2nd generation Mobile processors and select the one that meets your budget and requirements. Avail free shipping on your purchase.